I think of the Nigerian music industry as a big empire comprised of several kingdoms; Afro-pop, alternative music, Hip-Hop, RnB and co. 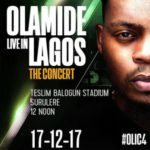 While the likes of Wizkid, Davido dominate the Afro-pop section and Simi directs the affairs of Nigerian alternative music; Olamide occupies the ‘indigenous rap’ throne. The ‘king of the street’ has used his position to popularize the genre and his subjects appear to be delighted with his reign so far. Six albums in six years from him, has ensured that the people on the streets are not starved of music. 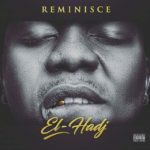 It has always been his habit to let the mood of the street influence the theme of his albums; the first was his introduction, one was about a new era championed by him, another was about the crowning of a new king but this ‘Lagos Nawa’ album is about creating a new model for the street, a new culture, a new sound – the ‘wobey’ sound. 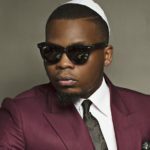 Olamide’s wobey sound comes off as a composite sound that blends musical elements of gbanjo, agolo with some kegite music, making the wobey sound a stimulant for street gyration dances. 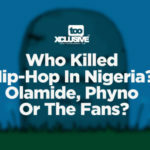 It is a sound that we’ve heard before on Olamide’s songs like Falila Ketan, Story for the gods but before now, it was often confused as some sort of indigenous rap. 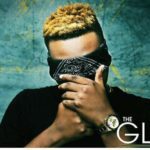 On the ‘Lagos Nawa’ album, Olamide bares the pop facet of his music, leaving only a small room for rap music with the self-produced, Shine and a bit of it on Radio Lagos. 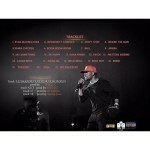 The general theme of the album is the typical Lagos hustler’s story; the troubles in the hood, the days of being broke but holding on to the a dream of a coming glory even when doubting Thomases wouldn’t stop talking. On Fe Nu Shey Street, Olamide reflects on how tough the Lagos streets are and how only the tough survive in it, tough people like him who shrugs off criticism and side talks like he did on Radio Lagos and Oro Paw Paw. In the same idon’tgiveafuck spirit, Lagos Nawa was recorded, Olamide’s hustle continues and it reaps enough fruits to call for celebration on Everyday Is Not Christmas. On this song, the vibe is right, the mood is great but Olamide’s obvious lack of lyrics is the dent. Imagine him using a line like, ‘Oya she open channel O, she tell me to say hello, I say hi, she say oo.’ Baddo however is a hustler with time for the ladies and party rocking; he is the man with many ladies on Moje Dodo, then he gets the ladies with thicker body to Bend It Over for him, Timaya & Reminisce; who told the tale best. 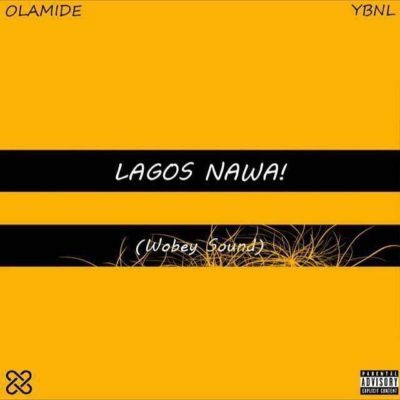 Conclusively, Olamide’s inventiveness in creating the wobey sound is commendable, while it produced a number of songs full of good vibes on this album, there’s still so much lacking in the delivery and the presentation. I won’t make the mistake of classing the Lagos Nawa album as a rap album, it is largely a pop album and I’d like to see it nominated alongside albums like Wizkid’s Sound From The Other Side and other top pop albums.